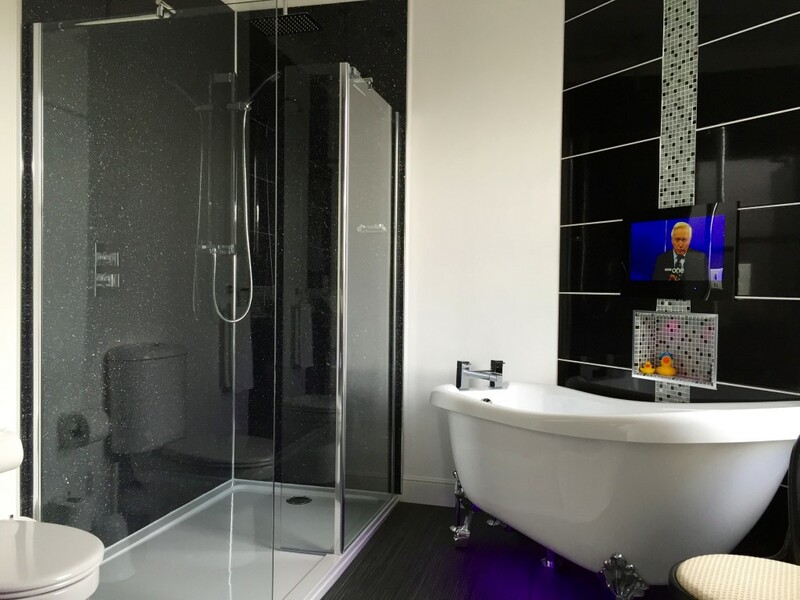 A boutique B&B located on ‘The English Riviera’ in Torquay Devon, The 25 opened its doors in 2015 and since then has enjoyed a number of awards including Enjoy England’s Gold Award, 5* Bed and Breakfast Award and a Breakfast Award. With no prior experience in hospitality, Andy and Julian successfully ran a country house hotel in North Wales for seven years before opening The 25 Boutique B&B and with their sheer hard work, determination and passion it quickly rose through the ranks to be Trip Advisor’s number one rated hospitality venue in Torquay. With an independent spirit and not wanting to conform to norms or trends, it’s little wonder why The 25 was ranked one of the finalists in this year’s Most Stylish Hotel or B&B category, and even less surprising to hear that the property has received, at the time of writing, 245 reviews on Trip Advisor – every single one of them a 5-star. We spoke to Andy and Julian to find out just how they achieved such a feat. 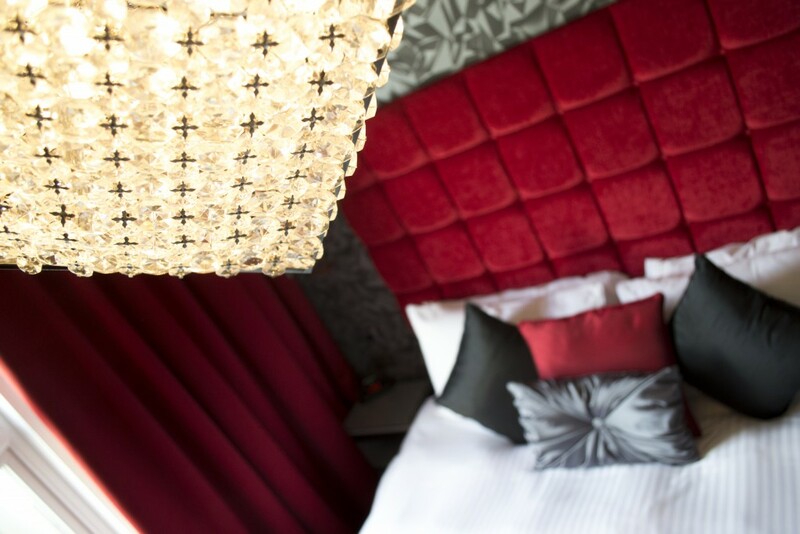 How important do you think it is for hotels to provide guests with a stylish but practical experience? Guests spend hard earned money when they go on holiday so they expect something a little special and different to what they have at home. They want to feel like they have spent wisely and so it’s important to have a stylish B&B – as soon as they walk into reception they know they have arrived somewhere that they’ll have a great time. How important are review sites like trip advisor and your representation on them? Do you think it affects a guest’s decision to book/stay? I think online travel agents & review sites have not only added pressure to increase style but all aspects of the stay. Guests will complain publicly if the place is not clean enough, if the food isn’t up to scratch, or the staff are unfriendly too. Hoteliers, in general, have upped their game and part of the overall impression of a place is how it looks. More B&Bs seem to be moving with the times, but you don’t have to look hard to find the places that either have their heads in the sand or just don’t have the money to invest in new décor. Talk us through the style and design of The 25. I wanted each room to be completely different. To me, the meaning of boutique is individual, different, small and personal, treating you as an individual. Everyone has their favourite room and, as they are all so different, there is something for everyone depending on where their priorities are. Some go for their favourite colour, some want a room with a bath, others want a sitting room, others like a wallpaper, and some will be constrained by budget but still want to stay here. 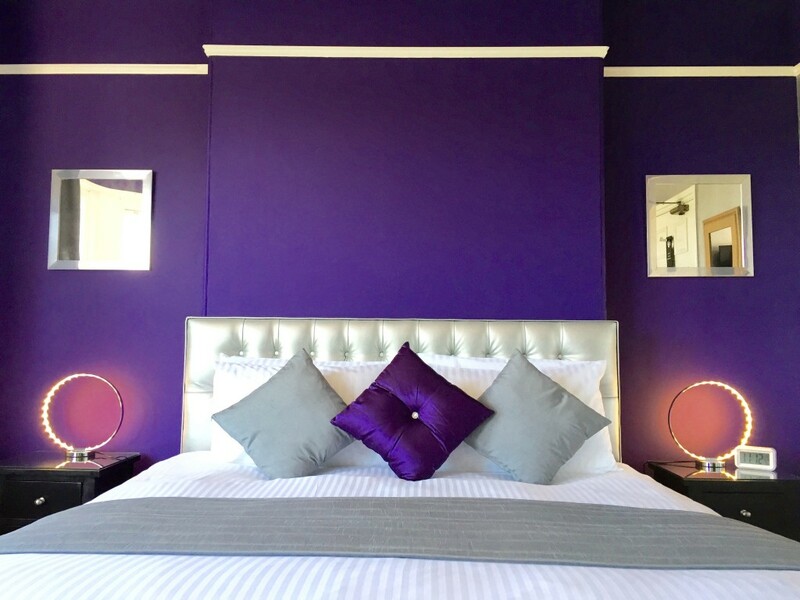 I’ve not really gone for a particular style consciously – just what I like and felt would look good and appeal to others whilst still being very individual and looking different to other B&Bs – we have a lot of competition in Torquay. I wanted the feeling of luxury and comfort so everything has to gel well together and still be comfortable – there’s no point having an amazing way-out chair if it isn’t comfortable enough to sit & watch a film on Netflix on. Although each room is different, I also wanted it to feel like one cohesive B&B within our brand so they all have common features and the same feel even if they have different styles, fabrics, and colours. I tried to lead the way and use current trends like greys but add my own touches too. I used citrus yellow in a room where I had terrible trouble getting material as no-one did a bright yellow. Since then I seem to have started a trend and everyone does yellow things now. 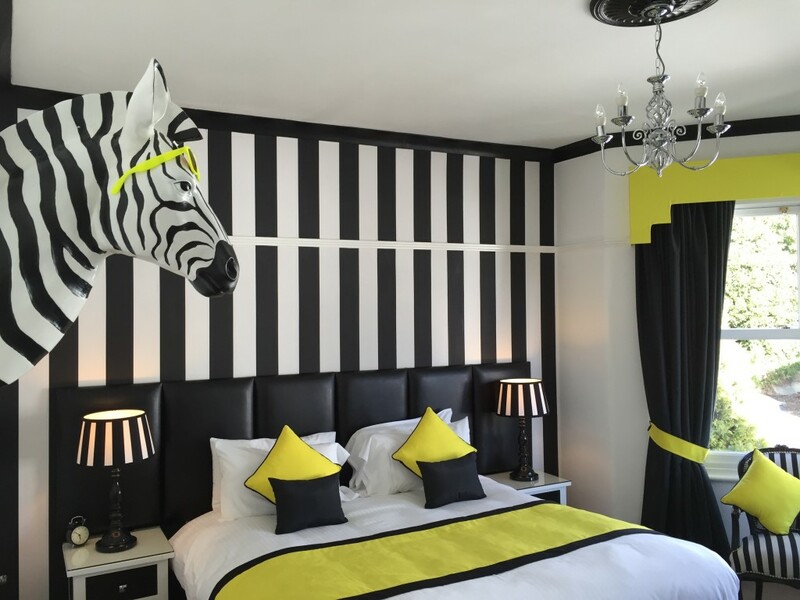 The Big Brother set this year even copied my Torre Suite with black & white stripes, yellow accents and even a zebra-like “Frank” in ours! Explain some of the challenges you faced when designing various aspects of the hotel and sourcing materials, interiors, and furniture/accessories. It may sound weird but I’d go to sleep each night thinking of a different room so the design was in my head. I knew what colours everything would be, where furniture would go and what the end product would look like. The difficult part was bringing it all together and sourcing what I had in my head. I’ve already explained the trouble I had getting yellow material – in the end, we found a discontinued material and used all we could get of that. Often I know in my head what I want, it may not exist though! That’s why I made my mannequin light in reception – I could see the rainbow coming from its belly button and decided the only way to get what I wanted was to create it myself. It’s turned into a great photo opportunity and guests love it. How important is it to you that guests have a unique and memorable experience? Guests want to feel special. We hope that when they arrive and also when they walk into the room that they are “wowed” by the décor and love where they are going to spend the next few days. We want guests to go back and talk about us and show everyone the pictures to spread the word. They are not going to do that if they stayed in a beige box. We want guests to feel that they had something much better than they have at home. How important do you think it is that guests feel comfortable? Guest comfort is really important. As I’ve already said, everything needs to be comfortable and functional as well as look great. A see-through plastic chair might look really great but be very uncomfortable to sit on. A TV needs to be simple to operate and be seen at the right height from both the bed and the seating area. We’ve tried to think of everything to make their stay as smooth and relaxing as possible with everything on hand without having to ask – like an iron & ironing board, or the box of things they may have forgotten to pack. Having the little touches like daily home baked goodies (cakes or biscuits), fresh milk, a jar of sweets, Netflix, an iPad with thousands of magazines, air con, great wi-fi etc all add to the experience and makes them feel like they are staying somewhere special. It’s like a big emotional hug. We offer them a complimentary drink (served with Andy’s famous homemade chocolate brownies) on arrival and you can already see the stress leaving them as they relax. 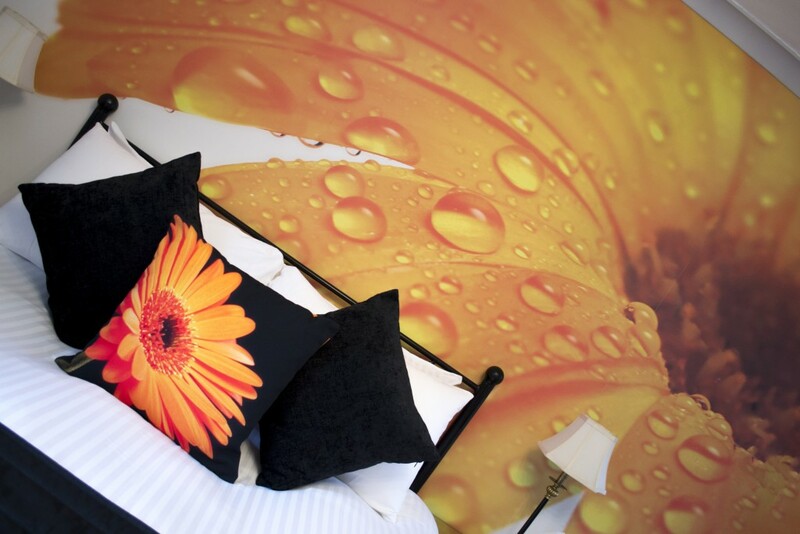 What, if any, do you think will be key trends within hotel design and interiors over the next 12 months. I’ve never really followed trends and just done what I feel looks good. I try not to be too swayed by current trends as we can’t afford to redecorate every year! The main elements need to be classic and timeless as opposed to fashionable. Cushions and throws are easier to change so having a more neutral curtain helps where perhaps the tie backs and pelmet could be redone. I think more and more places are moving away from trends and being more individual. If everywhere just follows the trends then you end up with all places the same and no individuality again. It’s a good time for people like upholsterers who can offer different and unique products and materials. Grey is definitely a hot colour and remains non-offensive but a little more interesting than magnolia was. It can be tied in with many colours and create many moods depending on the shade. Citrus colours have definitely come in (since I started it off!) and I think people will start to be more brave with accent colours. If you use bright colours well, they can look really good but it needs to be done with care not to just look cheap and tacky. To find out more about the trends shaping the hospitality industry in 2017, stay tuned for the Hilden Style Guide 2017…coming soon.